This fall, Sriram Krishnamoorthy, a research scientist and the System Software and Applications Team Leader in PNNL’s High Performance Computing group, was invited to join the editorial group of the Elsevier publication, Journal of Parallel and Distributed Computing. 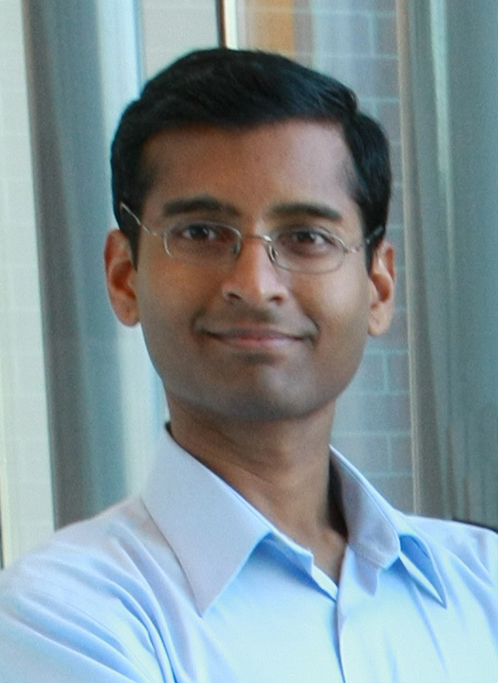 As a subject area associate editor, Krishnamoorthy now is part of the 66-member, international editorial team, featuring representatives from the U.S. Department of Energy national laboratories, academia, and industry. At PNNL, Krishnamoorthy’s research involves parallel programming models, fault tolerance, and compile-time/runtime optimizations for high-performance computing. In 2013, he received a DOE Early Career award, granting him $2.5 million over five years to explore exascale computing advancements. He has more than 80 peer-reviewed conference and journal publications, earning several Best Paper awards, and has had 11 papers accepted overall by the International Conference for High Performance Computing, Networking, Storage and Analysis (SC conferences). Krishnamoorthy also is a senior member of the Institute of Electrical and Electronics Engineers. He earned his B.E. from the College of Engineering, Guindy (Chennai, India) and M.S. and Ph.D. degrees from The Ohio State University. The Journal of Parallel and Distributed Computing, an international, open-access publication, publishes original research and review articles focused on the theory, design, evaluation, and use of parallel processing and distributed computing research.